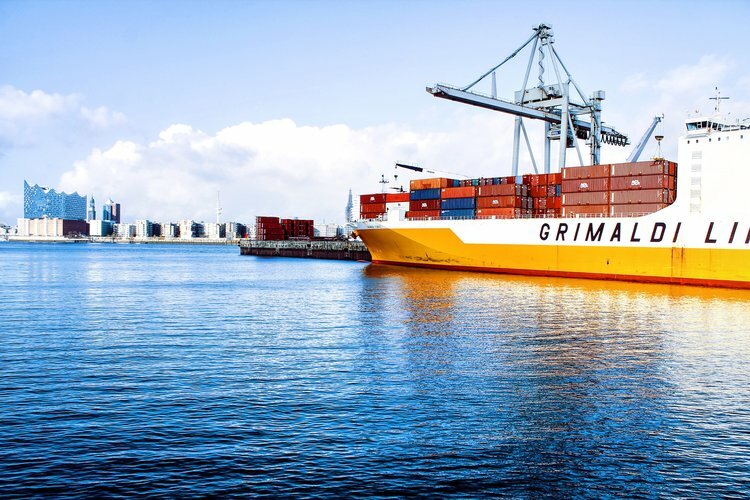 IMO’s working group has been analysing some future strategic possibilities to be introduced in order to combat the shipping industry estimated 2.5% share of global CO2 greenhouse gas emissions (GHG). This is a prioritised area since without any decisive measure an alarming increase in the sector share of emissions by 50-250% might be achieved within 2050. Although CO2 is a huge concern, the emission of other pollutants such as nitrogen and sulphur oxides as well as particle matter has been kept under a closer look. The year 2018 has been a significant year for environmental regulations. Important decisions have been made, regulations finalized, and we have now a clearer picture of the regulatory landscape than a year ago. In the last two years, shipowners have been facing EU MRV regulations which focused on CO2 emissions by vessels with 5,000 GT and above, and that cross EU ports of call. At the beginning of 2019, the IMO-DCS (Data Collection System) will enter into force. It comprises a three-step approach: in the first stage, there will be a collection and reporting of fuel consumption data for each type of fuel used on board. Other data related to hours underway and distance travelled will also be monitored. This collected data will be further analysed and a decision shall be taken regarding measures to apply. This regulation will have a significant impact due to the fact that it has a worldwide range, engaging all international voyages made by large pollutant vessels. Companies will also have to develop and validate a SEEMP (Ship Energy Efficiency Management Plan) for each vessel, collect the mentioned data and perform annual reports to be submitted to the Administration or any organization duly authorized by it. A result of conformity is emitted by the issuance of a Statement of Compliance that the company should kept aboard the ship and it shall be valid for the calendar year in which it is issued and for the first 5 months of the following calendar year. The MEPC (Marine Environment Protection Committee) is expected to develop and agree on a programme of actions to implement the initial IMO strategy on the reduction of GHG emissions from ships, which was adopted in April 2018. An Intersessional Working Group, that met last October, MEPC 73, initiated this work and has already focused on some important points. One of the issues, as mentioned, is related to Reduction of Greenhouse Gas emissions from ships. Strategic measures for short, mid and long term were discussed and are to be finalized between 2018 and 2023 for short-term, between 2023 and 2030 for mid-term and beyond 2030 for long-term measures. MEPC agreed on a follow-up action plan which discussions will be detailed on at MEPC 74 in May 2019. Another focus in the recent future will be related to sulphur emissions and the implementation of a limit for 2020. The now lower sulphur limit in fuel oil will be in force from the 1st January 2020 and is restricted to 0.5% under IMO MARPOL treaty, in order to guarantee improvements for the environment and human health. This restriction has global applicability although in Emission Control Areas (ECAs) the limit will be even tighter, down to 0.10%. Most vessels are expected to be using new blends of fuel oil which will be produced to meet the 0.50% limit on sulphur in fuel oil. Currently, the maximum sulphur limit in fuel oil is 3.50% globally (and 0.10 % in the four ECAs). The carriage in tanks of non-compliant fuel oil is forbidden unless the vessel has an exhaust gas cleaning system fitter (example: “scrubber”). This last amendment will enter into force in March 2020. The usage and carriage of HFO as fuel by ships in Arctic water will be banned in analogy to what was concluded in the Antartic under MARPOL Annex I Regulation 43. Regarding NOx emissions, NOx Tier III requirements have entered into force in the North American emission control area (ECA) for vessels constructed on or after 1 January 2016. In essence, anyone building a ship today needs to consider whether the vessel will — or might at some point — operate in that area. If so, NOx control technology will be needed for that vessel. Additionally, MEPC 71 adopted the MEPC 70 agreement to apply NOx Tier III requirements to ships operating in the North Sea and Baltic Sea ECAs. This will apply to ships constructed on or after 1st January 2021. In the following years, a review of the Energy Efficiency Design Index (EEDI) is also expected, tightening the requirements for certain new ships. It is expected, since MEPC 73, an increase in the baselines reduction from 30% to 40% for container vessels starting in 2022, maintaining 30% for general cargo vessels starting in 2022 and maintaining the current requirements and timeline (2025) for tankers, bulkers and all ro-ro ship categories. Other concern for the following years will be the control and management of Ship’s Ballast Water and Sediments that make use of active substances. It is expected the inclusion of contingency measures in the management plan. The discharge requirements for tank washings containing persistent floating products with high-viscosity and/or a high melting point will also be restricted to specific areas according to MARPOL Annex II. IMO has also started to discuss how to address plastic litter from shipping on the oceans and developed an action plan in the context of 2030 Sustainable Development Goal 14 (SDG 14). The measures within the plan should be completed by 2025. In study are possibilities such as evaluating the adequacy of port reception facilities or facilitating the delivery and retrieving of fishing gear. The regulations described above are set to improve the shipping industry’s environmental profile and will result in a significant decrease in harmful emissions from vessels. The regulations, in particular, the 2020 global sulphur cap, will however for ship owners, operators and charters represent new challenges which will need to be carefully considered and addressed. Such challenges also bring opportunities for existing and new players in the market, and there are reports regarding different positions taken in the preparation of 2020 on a daily basis.